You need to rent a charter bus. Maybe you need a fleet of charter buses for a school field trip, corporate convention, or some other special occasion. You’ve come to the right place. For coach bus rentals, we have the most experience. We have been operating in the area since 1993. We have some of the most experienced, safest, and knowledgeable drivers in the industry. Our Charter Bus Rental fleet of buses is unmatched by any other provider in the region. That means we can handle any size group, from just a few to 4,000 and sometimes more. We can even handle last-minute reservations. Even if you originally booked with a different company and realize they’re not going to be what you need, you can contact us any time of the day or night and speak to a customer service representative directly. Few other “charter bus rental near me” companies provide 24/7 customer service. We do, and we do it because we truly care about each and every person who contacts us, whether they book with us or not. What should you look for in charter buses for rent? First, you should think about safety. Is the company safe? Do they hire only the safest drivers, provide them safe driver training, and drug test them consistently? We do. Next, you should think about reliability. Do they have an impeccable on-time service record? Do they have the latest GPS navigation equipment installed on every bus? Are their drivers highly knowledgeable about the area roads so they can navigate around almost any potential traffic delay? Ours are. Third, you should think about comfort. The older a bus is, the less comfortable it will be. We maintain only late-model buses in our fleet and they are inspected, cleaned, and maintained regularly. All of this leads to one simple, immutable truth: when it comes to coach bus rentals, there’s not a single company out there in the entire Greater DC Metro Area that can match us for customer service, comfort, safety, reliability, and affordability. 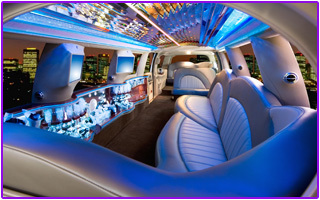 When you’re looking for coach bus rental near me, party buses, or even limousines, make sure you speak to somebody at the company and get it in writing that they will provide you the exact vehicle you see on their website, exactly as you expect it to be. The next thing you need to consider when it comes to cost is how long the vehicle will be needed for. 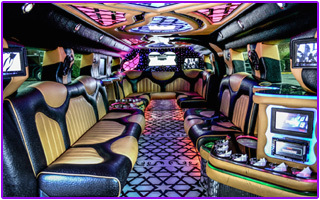 The more hours you require this party bus, the more it’s going to cost. That’s basically the bottom line, but with a highly experienced company that is dedicated to safety, service, and support, we should also be willing to work out a way to make it as affordable as possible. Call us 202-830-0479 right now to discover that you can truly rent a charter bus without a hassle.